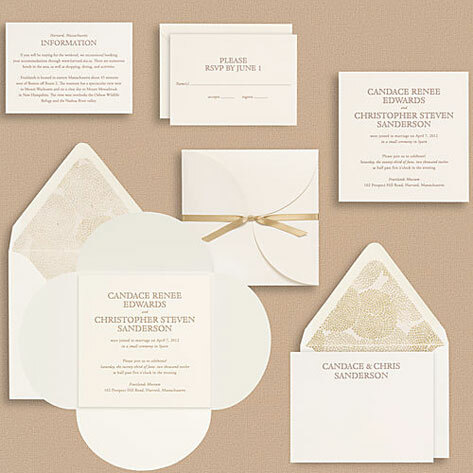 These beautiful wedding invitations marry traditional, formal elements with updated embellishments. The classic cream envelopes coordinate with gorgeous Gold Mums envelope liners, and bold typography adds life and personality to your wedding invites. Petal enclosures allow you to tuck a response card or additional wedding extras easily into the invitations, which are then finished with gold satin ribbon.